Justice Hussein Baba-Yusuf of an FCT High Court in Maitama on Tuesday, issued a production warrant to the Director General, Department of State Service (DSS) to produce Col. Sambo Dasuki (rtd) in court to face his trial on May 24. 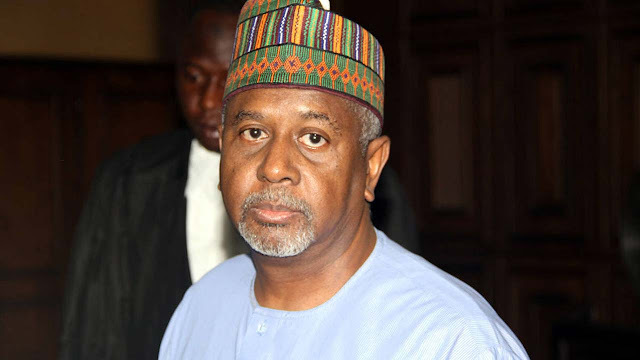 Dasuki, a former National Security Adviser to ex-president, Dr Goodluck Jonathan was arraigned by the Economic and Financial Crimes Commission (EFCC ) since 2015, NAN reports. On trial with him are Aminu Baba-Kusa, a former NNPC Executive Director, and two firms- Acacia Holdings and Reliance Referral Hospital. They are arraigned on 32 counts of criminal breach of trust, misappropriation and dishonest release and receiving of various sums of money to the tune of N33.3 billion. The judge, Baba-Yusuf ordered for a production warrant to be issued on the Director General of DSS to produce Dasuki in court for his trial at the next adjourned date. Production warrant is issued when a defendant is in the custody of the state as is in Dasuki ‘s case. The judge also ordered the prosecution to liaise with the DSS to produce the defendant whenever his matter comes up. ‘Hence, I will issue a production warrant to the DG, DSS to produce the defendant for his trial on the next adjourned date. He then adjourned until May 24 for trial. Earlier, the prosecuting counsel, Mr Oluwaleke Atolegbe had expressed surprises when he found out that Dasuki was not in court. Atolegbe told the court that it was the duty of the DSS to produce the defendant who was in their custody. Dasuki ‘s counsel, Mr Victor Okwudiri told the court that it was the duty of the prosecution to produce the defendant in court and it is their duty also to explain his absence. Counsel for the 2nd defendant, Mr Solomon Umoh, SAN told the court that it was now a common knowledge that the defendant was in the custody of the state. “One issuance of production warrant and secondly, issuance of bench warrant” the prosecution should find a way of producing the defendant in court,” he said. Counsel for the third and fourth, Mr A Rilman and A. Ayodele aligned with the learned silk.